When basketball fans look back on the 1992 Olympic Games, the top three topics are the awesomeness of the Dream Team, the success of Lithuania playing its first Olympic hoops as an independent nation, and the success of Croatia playing its first Olympic hoops as an independent nation. Fair enough, BiE supposes, but what about those other NBA-level and/or Euroleague-dominating players in the Barcelona tournament? And what about the historical story surrounding Europe’s other three teams in those ‘Games? Herewith, a European Dream Team of sorts for the ‘92 Olympics plus a tiny bit of backstory and lotsa highlight clips. As host nation, Team Spain received an automatic bid to the Barcelona Games. Though no slouches in Olympic play – Los Rojos had earned a spot in five of the six previous tournaments, including a silver-medal finish in the Soviet boycott Games of 1984 – history shows that more important in the bigger picture was that 12-year-olds such as Juan Carlos Navarro and Pau Gasol were watching and gaining inspiration. …and Juan Antonio “Epi” San Epifanio. The 1992 Olympic Games also saw the first international tournament performance by a unified German team in over five decades. Coached by Svetislav Pesic and led by the country’s second-greatest player of all-time, Detlef Schrempf, the Germans squeaked through into the tournament by winning its first two group A games against Spain and Angola to become the fourth European squad among the final eight. Unified Germany went down as the seventh-place finisher in the ’92 Games, but headline-level success would only need wait one more year when the Germans took Eurobasket 1993 – with Pesic, but without Schrempf. 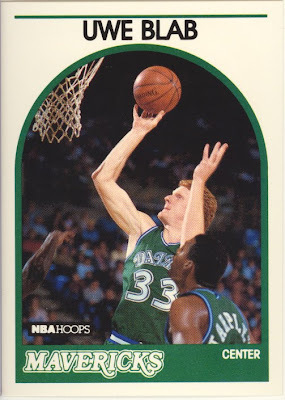 And BiE can’t possibly mention the 1992 edition of Team Germany without name-dropping Uwe Blab, of course. Making its final appearance in international sport in Barcelona was Team USSR. Sure, this team was publicly branded as the “Commonwealth of Independent States,” but sports fans weren’t fooled. With its Lithuanian core gone, the stripped-down CIS team nevertheless managed a fourth-place finish in the ‘Games, topping Lietuva in group play and taking silver-medal winners Croatia down to the final bucket in the semifinals. Alexander Volkov of the Ukraine was thrust into the leadership/captain’s role for Team CIS; he was good for 15.1 points per game in the tournament, including 20 in the Croatia game. Not many highlights of Volkov are readily available online, but you can catch him in this Atlanta Hawks highlight clip from the 1991-92 season – personally notable for Sasha, who was the first-ever Ukrainian-born player in the NBA. Much has been written on the fearsome first independent Lithuanian basketball team, so we’ll get right to the clips on these guys. The on- and off-court leader in actualizing Lithuania’s dreams was then-Golden State Warriors marquee name Šarunas Marčiulionis. Here’s Marčiulionis in 1992 versus the late great Seattle Supersonics in a rare Warriors playoff appearance. Then, of course, there’s the big man, Arvydas Sabonis, arguably one of the top two or three European players of all-time. Following are some career clips and, for no truly good reason except shock and awe, a vid of Sabas smashing the backboard at the age of 20. …and Zan Tabak (here with Kukoc and Radja on said KK Split teams). Then, of course, there was the Basketball Mozart, that individual player whose seemingly limitless stock gained further with amazing play in the ’92 Games, that legend who launched a thousand European basketball careers … but he deserves a separate entry altogether. Obama played high school basketball in Hawaii and still plays pick-up games with friends and closely follows pro and college teams.